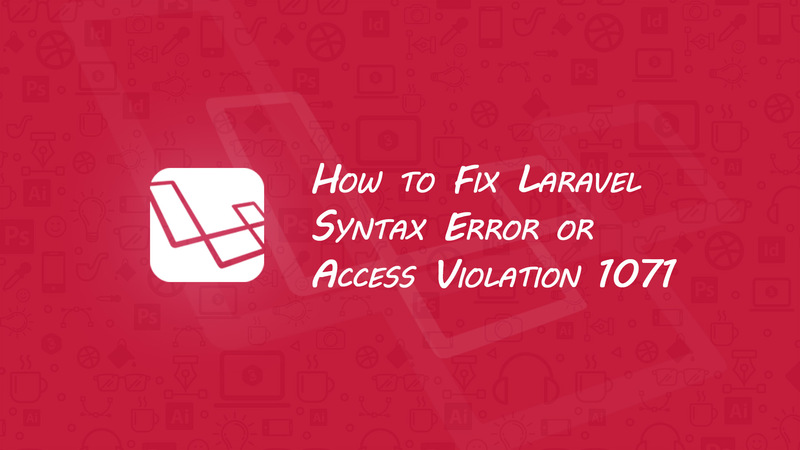 In this article, we will discuss the most common issue “How to Fix Laravel Syntax Error or Access Violation 1071”. When we start a new project within Laravel then we face this. An exception is thrown because Laravel made a change to the default database character set, and it’s now utf8mb4 which includes support for storing emojis. This only affects new applications and as long as you are running MySQL v5.7.7 and higher you do not need to do anything. You can fix this error using the following solution. Update the AppServiceProvider.php located at app/providers. After, updating the AppServiceProvider.php. The migrate command executed without any issue.